Snickerdoodle was definitely a bakery scent I wanted to review since I can never resist a good cookie scent. Smitten for snickerdoodle… Fresh from the oven, the heavenly scent of warm butter cookies adorned with cinnamon sugar sweetness. Yum!! Sugar cookies and cinnamon. Yes please! 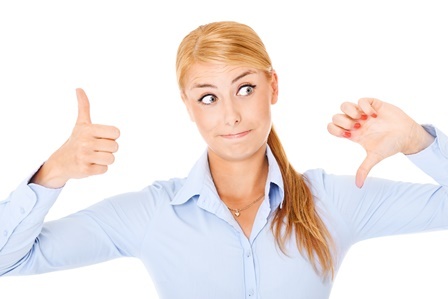 First impression… I hate to say this but it wasn’t really a good one. The wax upon first sniff kind of smelled synthetic. But, the true test is always once the candle is burning. Strength – on a scale of 1 to 10, I would rate this candle a 3 in a large room. 6 in a medium room and a 7/8 in a really small room. This was not a very strong candle. This candle burned pretty good. Very little wick maintenance with this one and it burned clean and even from start to finish. 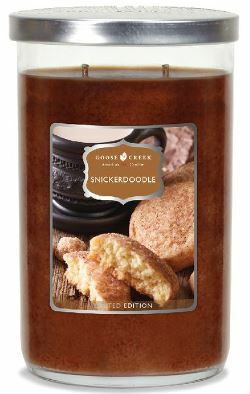 Snickerdoodle from Goose Creek unfortunately is not a bakery scent I would recommend. There was just something about this scent that was “off” and left me wanting more. Big gigantic bummer. It happens though and I shall press on. I do enjoy Goose Creek candles so I won’t be detoured and have plenty more to review from this brand. Until then…. happy candle hunting!